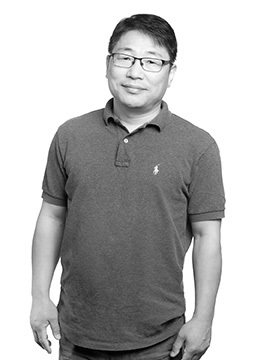 Hyun-Tae Jung is a visiting assistant professor of architecture at Louisiana State University and a visiting scholar at the University of Pennsylvania. He completed his bachelor’s and master’s degrees in architecture at the University of Seoul, South Korea. Dr. Jung received a Doctorate in History and Theory of Architecture from Columbia University with a dissertation, Organization and Abstraction: the Architecture of SOM from 1936 to 1956, which deals with the rise of corporate architecture in the mid-twentieth century. Dr. Jung has worked on theories of architecture, urbanism, sociology and globalization as well as architectural design. The universities he has taught at include Lehigh University, The University of Nebraska-Lincoln, Columbia University, Parsons the New School for Design, and The Seoul National University of Technology. Additionally, Professor Jung has published numerous articles in both American and foreign journals and has also received several research and teaching awards throughout his career. These awards include university-wide teaching awards from the University of Nebraska-Lincoln (College Award for Distinguished Teaching) and Lehigh University (Donald B. and Dorothy L. Stabler Award for Excellence in Teaching).